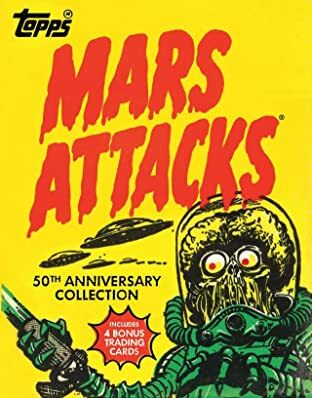 In celebration of the 50th anniversary of Mars Attacks, this comprehensive book is the first-ever compilation of the infamous science-fiction trading card series produced by Topps in 1962. Edgy, subversive, and darkly comedic, this over-the-top series depicting a Martian invasion of Earth has a loyal following and continues to win new generations of fans. For the first time, this book brings together high-quality reproductions of the entire original series, as well as the hard-to-find sequel from 1994, rare and never-before-seen sketches, concept art, and test market materials. 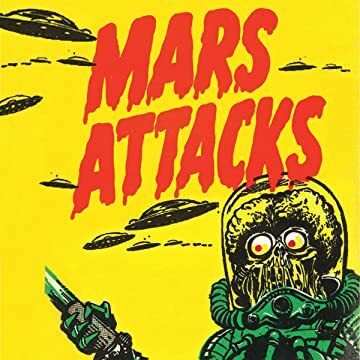 Also included are an introduction by series co-creator Len Brown and an afterword by Zina Saunders, daughter of the original artist, providing an insider's behind-the-scenes view of the bizarre and compelling world of Mars Attacks.